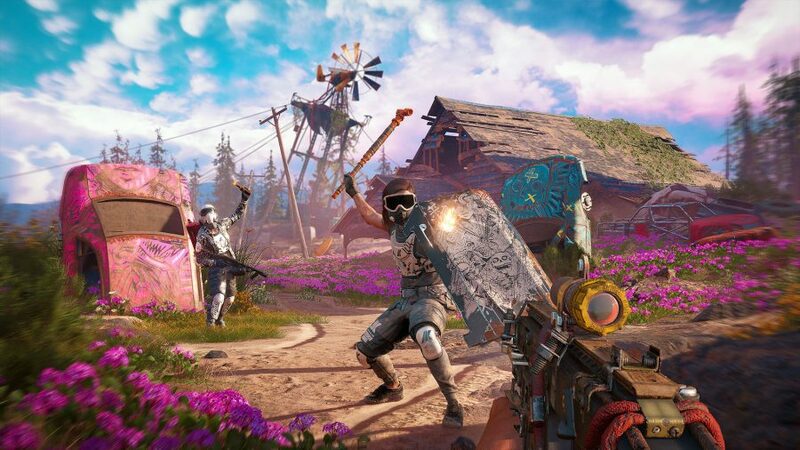 I wish I could tell you that my first assault on an outpost in Far Cry New Dawn panned out as well as it did in my head. In fact, I wish it ever worked out that way. My intention, as always, is to slip in quietly with my bow, and silently take out every baddie one by one on my way to disabling the alarm – in what could be compared to a languid, meticulously choreographed dance. But this is me, after all, a far cry from the consummate professional that exists in my overactive imagination. I may have soundly bumped off a few Highwaymen on the perimeter of this mangled mess of upturned vehicles and sheet metal, but my success proves to be short-lived: rather than initiating a brutal execution animation, I meekly poke my next Motocross-clad foe on the bottom, and, far from injured, he just looks mildly irritated. Since I’m not powerful enough to finish him in one strike, all hell breaks loose in an upsetting ten minutes that features mortar bombardment, a dead dog, and an alarm that screeches my failure gleefully into the ravishing super bloom of post-apocalyptic Hope County. Tittering behind me is Far Cry New Dawn art director Isaac Papismado. “You didn’t know he was a higher level, did you?” he observes, perceptively. “We wanted to add a little challenge to the game this time, with the leveling up of enemies and your weapons.” I manage to take the outpost by the skin of my teeth, bringing crucial resources back to my base. However, with undue self-confidence and due masochism, I raise the difficulty. 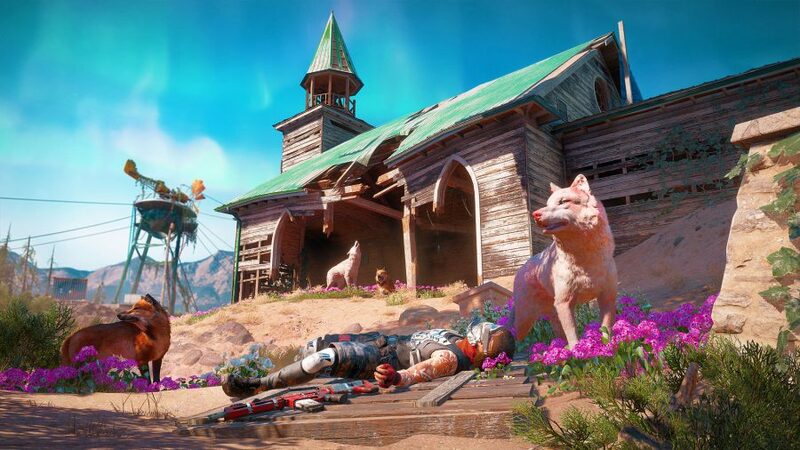 You see, Far Cry New Dawn takes outposts up a notch. With its Escalation system, enemy-infested targets can be cleared out and kept under friendly control, or left free for the evil Highwaymen to retake, and reinforce. It’s an intriguing risk/reward setup, giving you the chance to plunder even more resources to bring home, if you can conquer the newly-strengthened defences. Perhaps it’s best if we leave how I fare against this tougher state to your own overactive imagination. The same goes for Expeditions, larger scale trips that take you away from Montana to seven new locations. These missions, which also increase in level, take the shape of outposts one square kilometre in size. They take plenty of attempts, patience, and strategy to best at their most challenging. 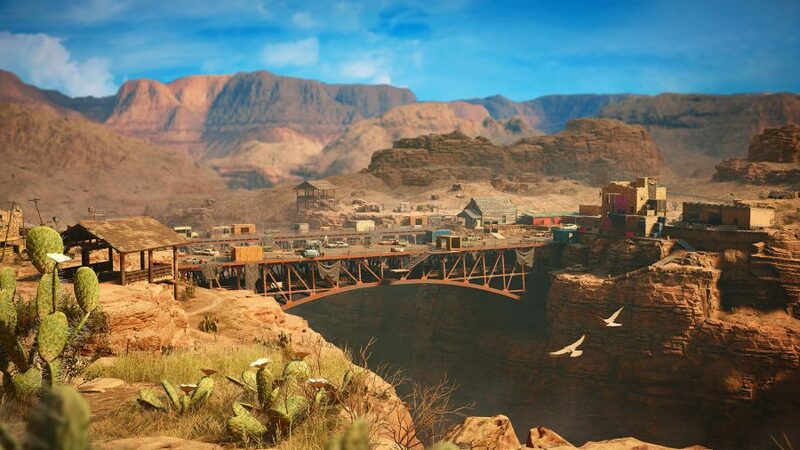 Myself and a co-op companion take a helicopter out of our Prosperity home base – occupied by John Seed in the previous game – to a giant cruise ship, an arid valley connected by the Navajo Bridge, and a sun-dappled amusement park. The goal is the same, whatever the setting: pinch the package near a sky-high plume of pink and scrabble to the evac point. Each zone’s topography allows for myriad different schemes, but there are traps, too. For instance, the Navajo Bridge at this Expedition’s centre holds some mischievous pathways beneath it – but also a tower block full of enemies overlooking it, waiting to pounce. 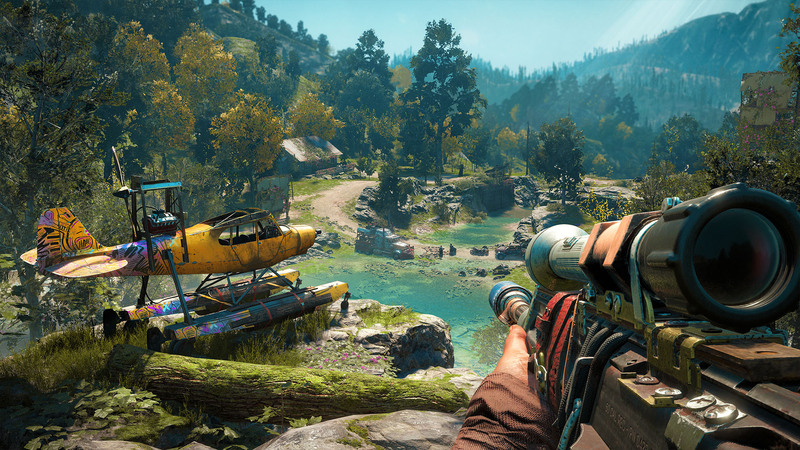 Expeditions give more options to co-op players who want to spend even longer with Far Cry’s familiar brand of emergent chaos. With that in mind, it’s a shame there are few ways of measuring progress beyond pass or fail. 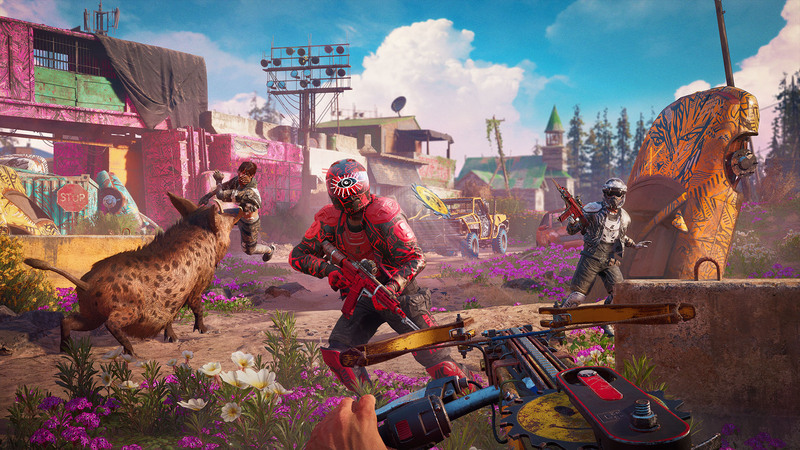 Far Cry 5 was hardly ugly, but New Dawn revitalises the county ravaged by nuclear annihilation 17 years earlier. In fact, rarely has the end of the world looked better. New Dawn’s evolved flora and fauna are saturated with vibrant colour as nature returns to fill the void left by the cult. Lakes and rivers seem bluer than blue. Hummingbirds bathed in an impossible green flit peacefully between vivid, tentacle-like plants. There’s an inescapable sense of the natural world compensating for its loss and reasserting its strength. “What was really important was creating a world where it felt like mankind stopped bothering,” Papismodo says. 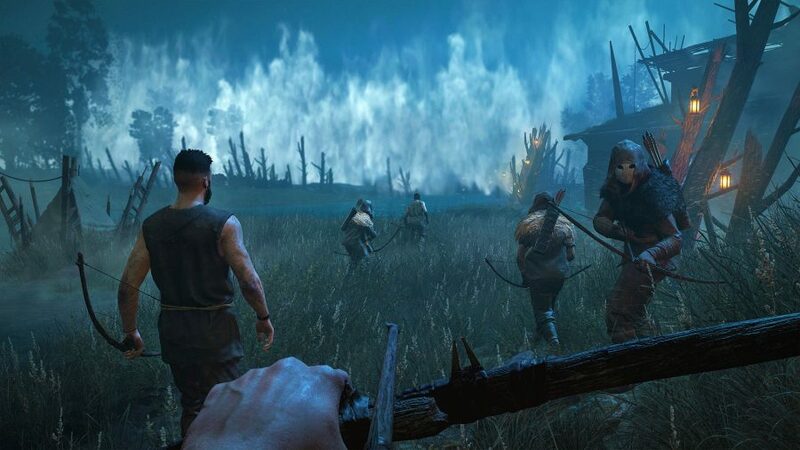 New Dawn’s near-future timeline straddles the line between fantasy and reality, allowing the team the freedom to go wild and avoid the cliches of dark and barren landscapes. That isn’t to say the scars of nukes cannot be found in this new Hope County, however. Scorched patches of earth shorn of all life exist, adjacent to the homes of accelerated but mutated species possessing an awful beauty. Every step you take holds surprises. Rather than sticking to my minimap as I did in Far Cry 5, I explored at my own pace, driven by an irresistible curiosity to see how the world has changed and what secrets that curious wreckage on the horizon is keeping hidden. New Dawn is not without issues, though. As with Far Cry 5, it remains difficult to see how Ubisoft can tell a better story than those players will write themselves. The game’s dual antagonists, Mickey and Lou, have a long way to go to improve on the likes of Vaas Montenegro and Pagan Min. The cast of NPCs are aggressively unfunny, too. 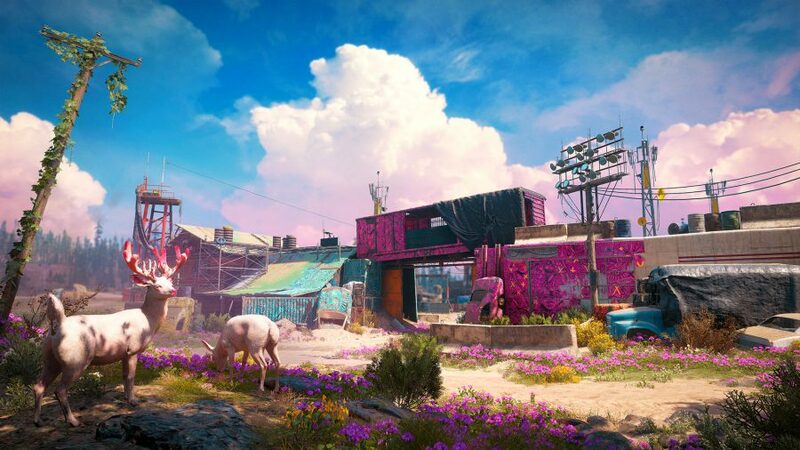 While its garishness can look otherworldly, Far Cry New Dawn’s setting is actually based on science. 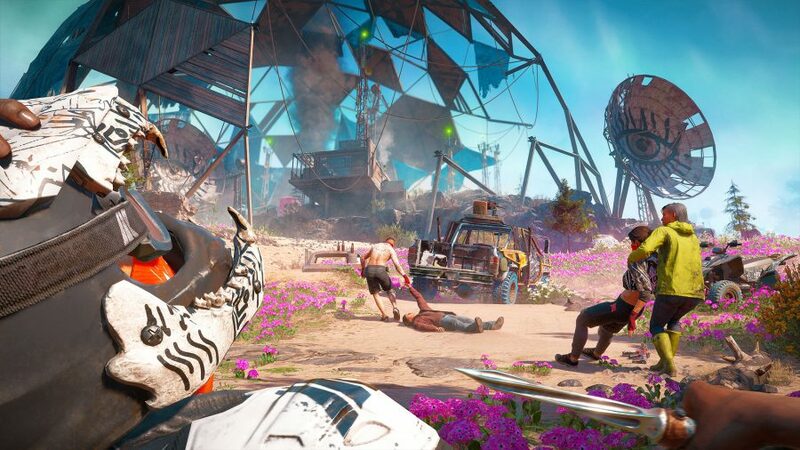 We spoke to creative director Jean-Sébastien Decant about how the team built the game’s wrecked world and how the beauty of its super bloom brought it to life. There will, of course, be those that are not enthused about returning to the same setting so soon after their first adventure to the American prairie – and New Dawn has no retort when it comes to retreading the same map. That said, this scientifically inspired topsy-turvy world is a joyous playground thanks to a more refined Far Cry experience. No longer do random events pop up with the exhausting energy of an attention-starved toddler, turning mid-mission travel into a chaotic chore. The ‘light RPG’ upgrades you can make to your appealingly makeshift weapons and home base give you a real reason to explore, hoovering up scrap to craft new gear. What’s more, weapon and enemy ranks help you feel like you’re actually progressing, rather than relying on the same rocket launcher throughout. 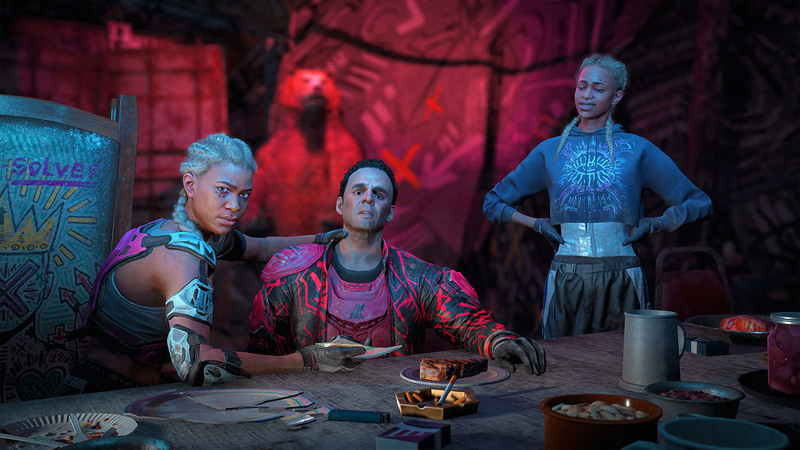 New Dawn’s reduced price places it somewhere between a traditional triple-A title and sizeable DLC, but this belies the improvements the game boasts. 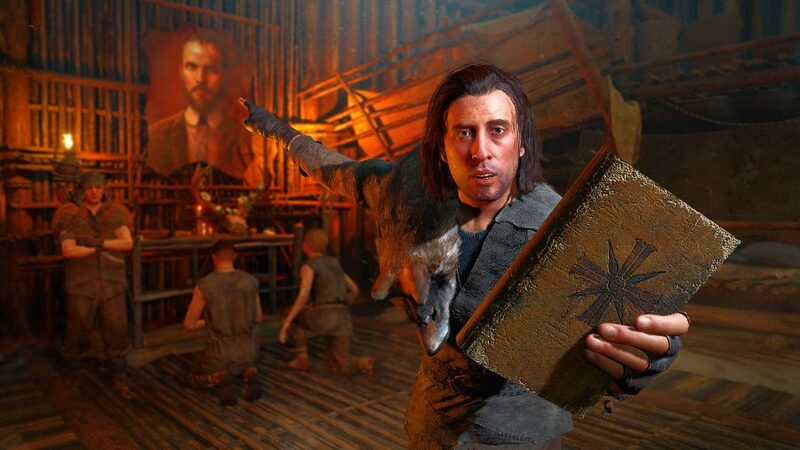 Far Cry is not the first series to use the same setting and succeed; there’s enough here for returning players to enjoy Ubisoft’s oft-mentioned ‘anecdote factory’ all over again with a digital mate, and new players can take advantage of a very strong open-world experience without the niggles that plagued its predecessor. It turns out the years have been kind to Hope County, despite the all-consuming hellfire and all that.